Whilst, it is true that more fish processing plants are utilising automation, its system also requires a reliable computing equipment. And, this device must have the capability to perform fish processing operations efficiently as well. Fortunately, there is an industrial-grade computing technology that can have the required specifications for fish processing. An S17 rugged industrial PC can bear an Intel-based operating system that is ideal for the operations. As a matter of fact, this device can also have system processors that are compatible with an automated system. Expect that the 17” industrial computer can provide productivity and reliability. Can this device have the capacity to withstand the harsh working environment of fish processing factories? This blog will help you understand why the S17 industrial panel PCs are one of the most recommended devices for this industry. Every automated process needs to have the ability to start multiple computing equipment and machines at once. This must have a device that can function well and sturdy enough to withstand a challenging environment. Now, a fish processing operation has two factors to consider – quality and efficiency. In terms of quality, all equipment should adhere fish processing’s hygienic environment. And in terms of efficiency, all device integrated with the process should be in compliant with Food and Safety standard guidelines. So, how can a fish processing plant have both? Making use of industrial-grade PCs, like S17 panel computers, are one of the best computing solutions. It can be fully functional to its existing fish processing applications and compatible with automation as well. In addition to that, S17 embedded PCs have an IP69K rating and NEMA4 sealing. It has the highest protection available for a device. This means that it can withstand water intrusion, caustic cleaners, and other visible debris in the operations area. So, rest assured that even a hygienic kind of environment cannot hinder its functionality. Now, can these specifications suffice the needs of advanced fish processing? Actually, the 17” ruggedised computers offer more features and benefits. This is to make sure that this device is the best computing options to consider. Note that an optimum operation can only be possible if these are integrated into the most reliable computing system. 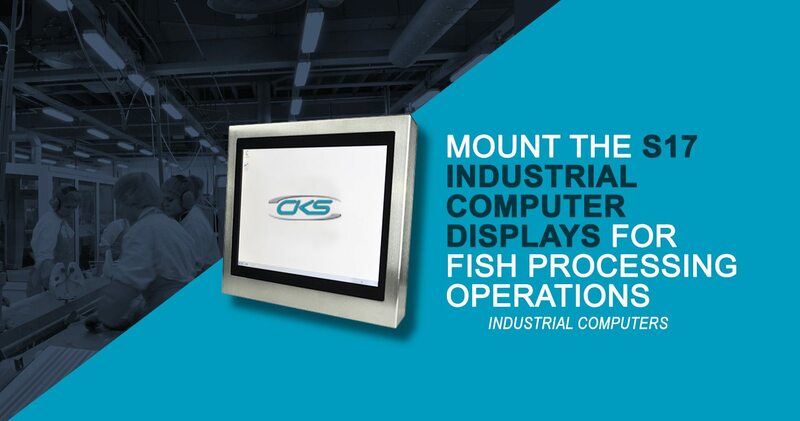 Check out how the S17 industrial computer displays can help in enhancing a fish processing operation. Operations in fish processes are composed of different applications, even if it is using an automated system. Still, fish processes have multifaceted operations. But, the 17” advanced panel PCs can be built with Intel® Core i7-3610QM 2.30GHz Quad Core motherboard processors. It has the capability to perform multi-tasking activities and runs in an extensive application as well. Thus, it is a perfect fit for fish processes. Fish processing plants operate in a challenging work environment. Potential elements that a computing system should endure water intrusions, humidity, contaminants, and other debris. However, the 17” ruggedised computing device is enclosed in a 304 stainless steel construction frame (front face) and anodised aluminium (rear face). Its internal parts are also built with industrial-grade components. This means that this device can still perform its function even in the harshest environment. Hence, it provides an overall performance capability. This device also features a fanless cooling system. This feature eliminates one major moving component, which is the fan. So, it does not consume a lot of energy. But, rest assured that the S17 fanless PC can still function efficiently in processing operations. In the next industrial revolution, most of its processes involve the use of technological advancements. Apart from the automation, any industry should be equipped with the latest computing system. And, this includes the fish processing industry. What’s good is that the S17 industrial-grade computer is compatible with both the latest and existing industrial application. So, start installing this device to fish processing and contact a reliable industrial PC manufacturer today.